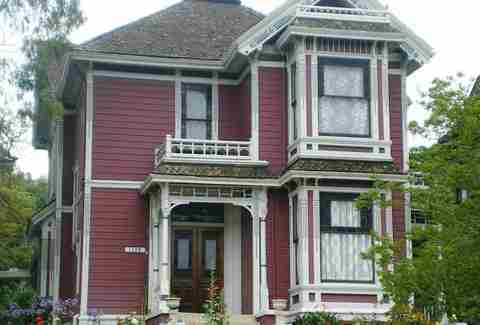 We’ve all sat back and fantasized about living in our favorite TV show. And sure, while being on the Flintstones would have been awesome, and sharing that oversized Manhattan apartment with the Friends crew might've scored you a date with Jennifer Aniston, the fact remains: those places, like the shows they were on, were completely fake! But that's not always the case. Some TV houses are actual homes on public streets that you can walk by, gawk at, Instagram, and stand in front of while dreaming about what it’d be like to live with Tony Danza -- or buy, if you’ve got some extra scratch lying around. Which is why we consulted Zillow.com and Realtor.com to see how much you'd likely have to pay for each of your favorite TV homes. 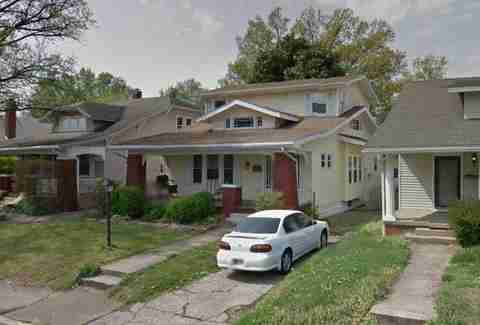 For the TV buff who may not have a lot of cash but is willing to live in Evansville, IN, the Connors’ old place sold for a measly $129,000 in 2012. 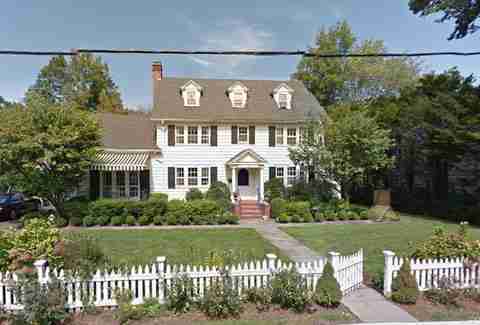 In perhaps the greatest stroke of TV house realism, the Long Island house that served as the exterior for Ray and Debra’s home is, quite literally, across the street from the house used as the exterior for Frank and Marie, Ray’s parents on the show. Stand in the middle of the street long enough and you might just get offered a lasagna. 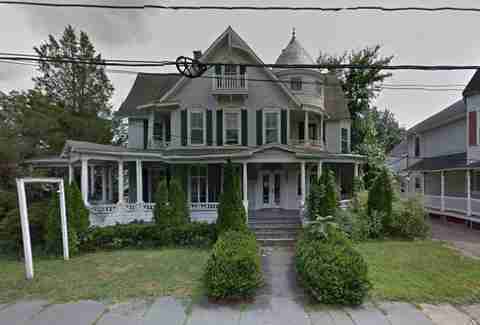 While Archie Bunker’s armchair actually sits in the Smithsonian Museum in Washington DC, you can find his entire house -- labeled on the show as 704 Hauser Street -- located across from a cemetery in the Glendale/Middle Village section of Queens. Although, just so you know, in the show it's supposed to be Astoria. That cherry pie at the Double R diner must have been even better than Agent Cooper said, since its real life counterpart -- Twede’s Cafe -- sits a whopping 50mi away in North Bend. This four-bedroom house north of Seattle sold for half a million dollars earlier this year after a Kickstarter campaign failed to raise enough cash to turn it into a Twin Peaks museum/B&B. The folks who made The Wonder Years never specifically told us where the Arnolds' lived (though, really, where else but New York would ANYONE be a Jets fan?) 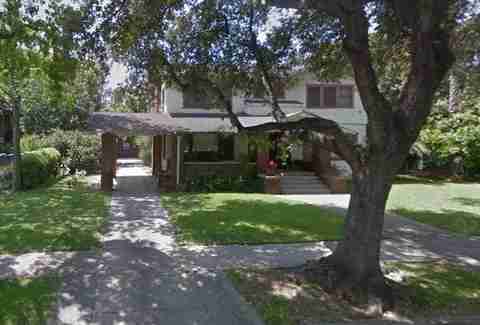 but their real-life 3/3 home sits on a quiet street in Burbank that looks -- even today -- almost exactly as it did when it was used for exterior shots over 20 years ago. Known as Spellman Manor and built in 1880, this converted office building was once home to the Democratic Party of Monmouth County. The main house is 6,000sqft, with another 2,000 in the carriage house. Magic really is the only way to explain how a five-bedroom house -- with three women living inside -- could have only one bathroom and nobody ended up killing someone. Though sharing a house with Piper, Phoebe, and Prue wouldn’t have been terrible under any circumstances. 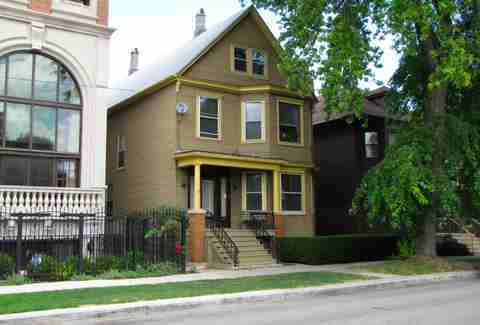 While the house the Winslows called home for nine seasons is still standing on Chicago’s north side, it seems that poor Steve Urkel’s childhood domicile has been demolished and replaced with a much larger, newer version. Something Steve would have never done to Laura. 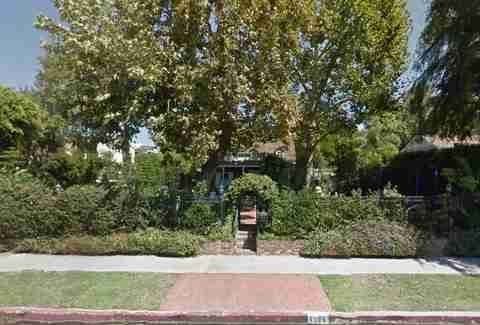 This Studio City two-bedroom house would have made a convenient commute had Ben Savage and company actually decided to live there while filming the show; it sits just a few blocks from the CBS studios. 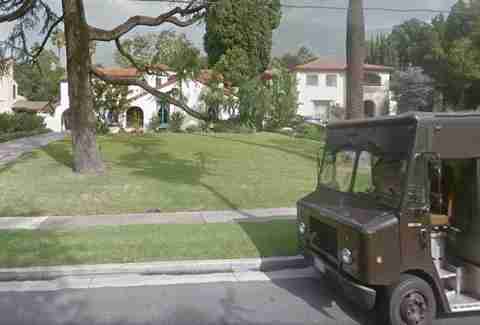 Another fun fact: the house once belonged to soap opera actor Joseph Campanella who, presumably sick of LA traffic, moved within walking distance of where they shot his story, Guiding Light. 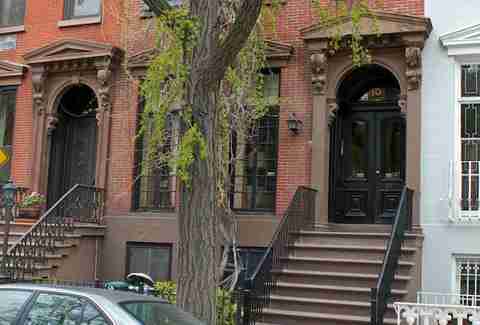 If you’ve ever had the joy of watching a Cosby episode with one of those New Yorkers who likes to tell you about every NYC location in every TV or movie ever, you’ll know that the Huxtables’ Brooklyn Heights address -- 10 Stigwood Avenue -- doesn’t even exist in Brooklyn. In fact, there isn't a single "avenue" in all of Brooklyn Heights. 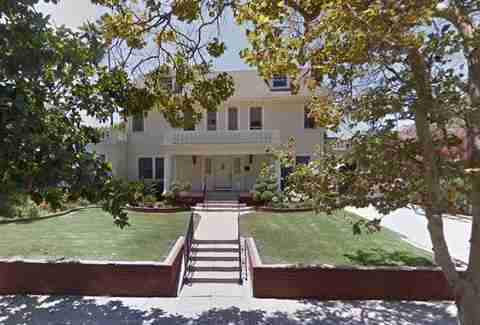 Our dearly departed Robin Williams got his big break at this impressive seven-bedroom home in Boulder. 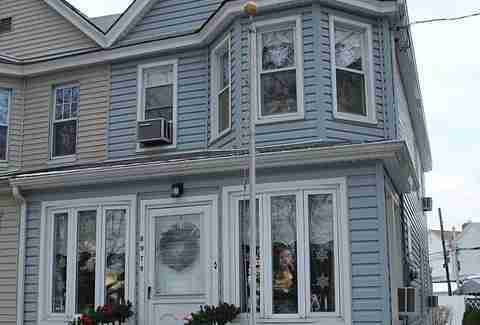 When Williams passed away this summer, the white picket fence out front was decorated with flowers, wreaths, and other fan condolences. 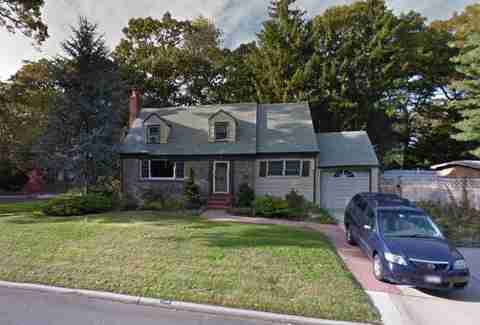 For true authenticity, we suggest you rent a giant blue van on your next trip to New York City and drive it out to Westchester County, where you'll find the home of the Bower Family, supposedly at 3344 Oak Hills Drive in Fairfield, CT. Sure, the van doesn’t have windows and that might make you look a littttle creepy, but nobody ever questioned Tony Danza about it, so why should they question you? At least once, you had to wonder how the Lamberts lived in the one city in Wisconsin that was sunny ALL of the time. That’s because their house is actually in Pasadena, and that charming little sign the Ford Explorer drives by in the opening credits that reads “Port Washington, Wisc., Population 9336” sits in front of the South Pasadena Historical Museum. 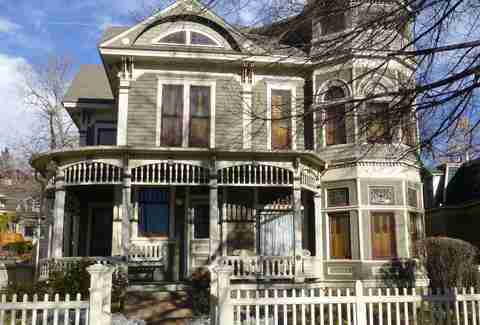 You might call this "the Omar Infante of TV Houses", as it’s easily the best utility house on this list. 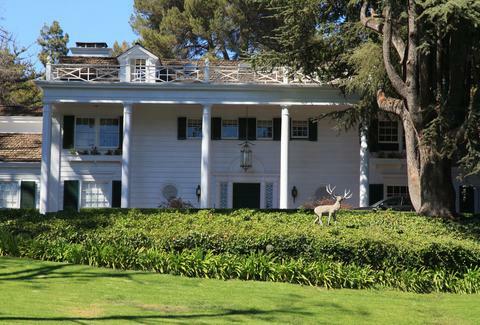 Not only was it used for interior and exterior shots, but the backyard was used to film scenes when the gang “went camping”, and the living room -- which was large enough to fit a sound stage -- was the actual set for Kelly Taylor’s bedroom. The Cunninghams must have spent a lot of time fighting over the bathroom in their Milwaukee home, as this six-bedroom, 3,900sqft house only has two of them. And considering the amount of time it took the Fonz to do his hair when he came over, that really only left one. 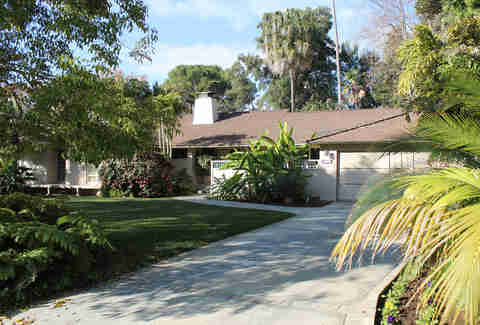 The home that belonged to Blanche Devereaux (one of the greatest fictional Miamians of all time) and was shared with Dorothy, Rose, and Sofia at 6151 Richmond Street is actually a ranch just off Sunset Boulevard in Brentwood. After season one, a replica was built at MGM Studios in Orlando but has since been torn down. 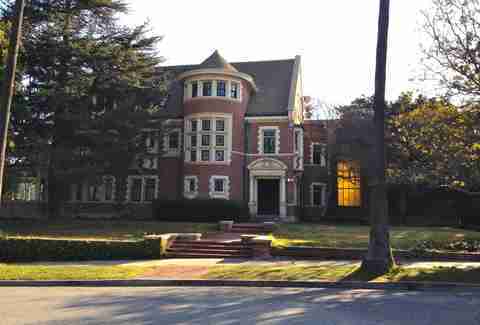 Even though “Murder House” is about as badass a house name as you can get, this Country Club Park mansion used in the first season of the AMC hit is actually known as the Rosenheim Mansion. 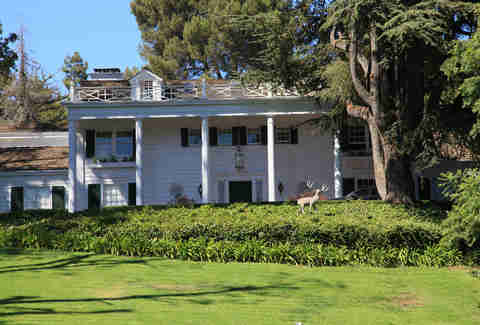 Built in 1908, the 10,440sqft property is also the rare TV home used for both exterior and interior shots. 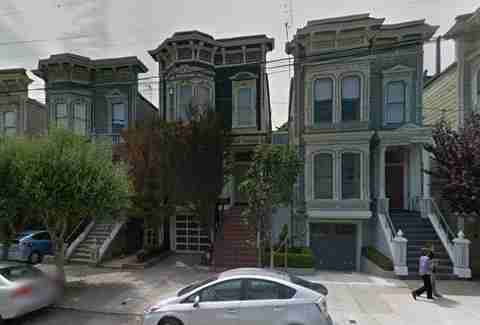 It might be a sad comment on America that when most people born in the '70s and '80s visit one of America’s most historic and beautiful cities, this first thing they say is, “Wow, this looks JUST like Full House!” But the home the Tanners shared at 1882 (or 1883, or 1892) Gerrard is typical of San Fran, and contrary to popular belief, is NOT one of the “painted ladies” across from Alamo Park. It's about a mile away. 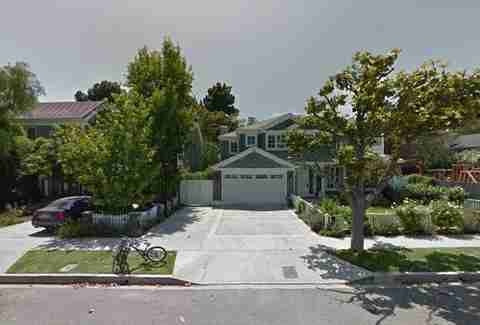 The Pacific Palisades 5,100sqft home used for exteriors shots of Jeff and Suzie’s house has five bedrooms and 4.5 baths, so plenty of space to let your socially ill-mannered friends crash when their wives throw them out. The front door of 508 St. 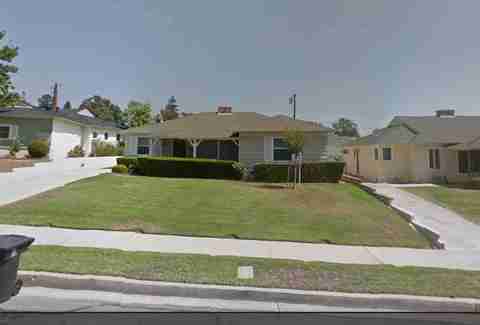 Cloud Road that Jazz got tossed out of so many times actually sits in Brentwood, not Bel Air. Unlike the Fresh Prince, though, it would have fit right in in Bel Air -- it's got five bedrooms, five bathrooms, 6,438sqft, and a $7 million price tag.